Are bike paths going to become so common, and so widespread someday that bicyclists can simply eliminate the need for road riding? 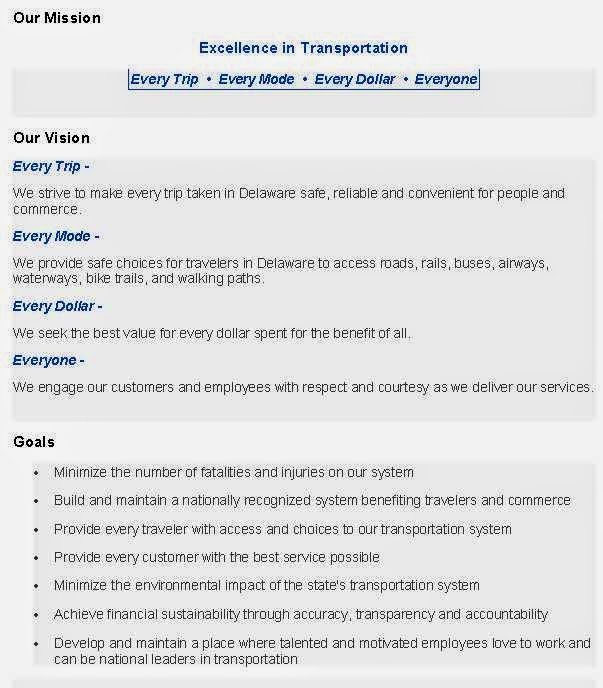 At least one of Delaware's top bicycling advocates believes this can happen. For those of us that ride for transportation today, however, we know this is pure fantasy. Above: Wilmapco's NCC Bike and Pathways Plan. Even the most optimistic outcome still forces most residents onto arterial roads and intersections to gain pathway access at both ends of their journey (click HERE to view in pdf). Any successful bicycle advocate will attest that an off-road network of trails and pathways is crucial to any bicycle plan, but it must be combined with rigorous Complete Streets implementation. 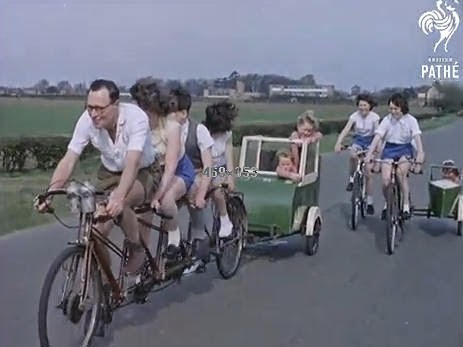 Only then can we tap into the "Enthused and Confident" segment of the bicycling public, and measurably increase non-motorized transportation modeshare. 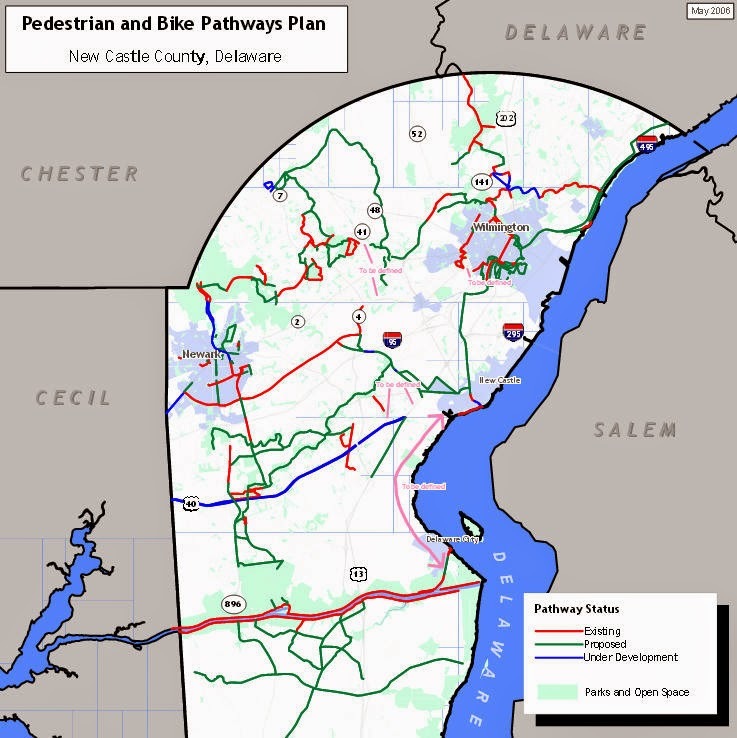 Unfortunately, Delaware is opting almost exclusively for Trails and Pathways - at the expense of on-road facilities - with the hope that we can increase the number of "interested but concerned" that might try bicycling. This will have little impact on commuting and every day trips from home - in other words, reducing auto dependency. 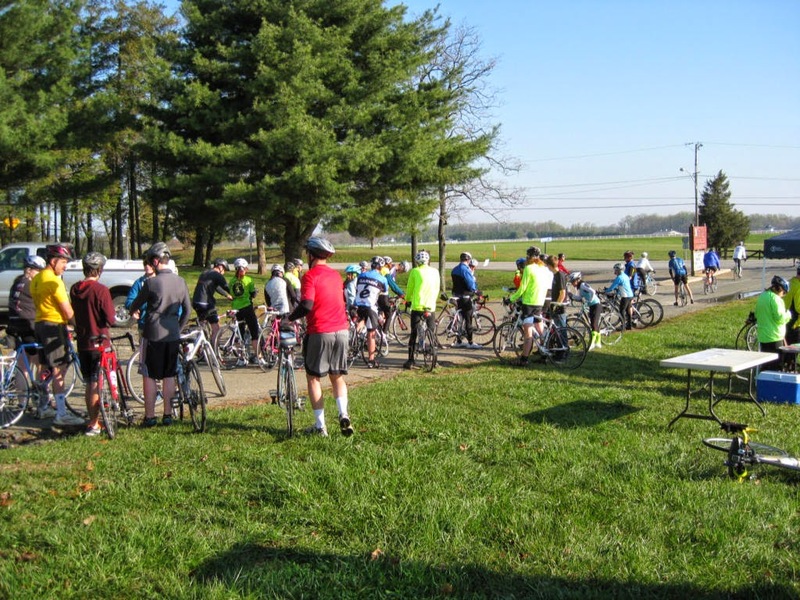 Most of these bicyclists will only rack up and drive to the nearest pathway/trail head. Many, if not most of the facilities in the map above follow the ROW (right of way) of existing roads. 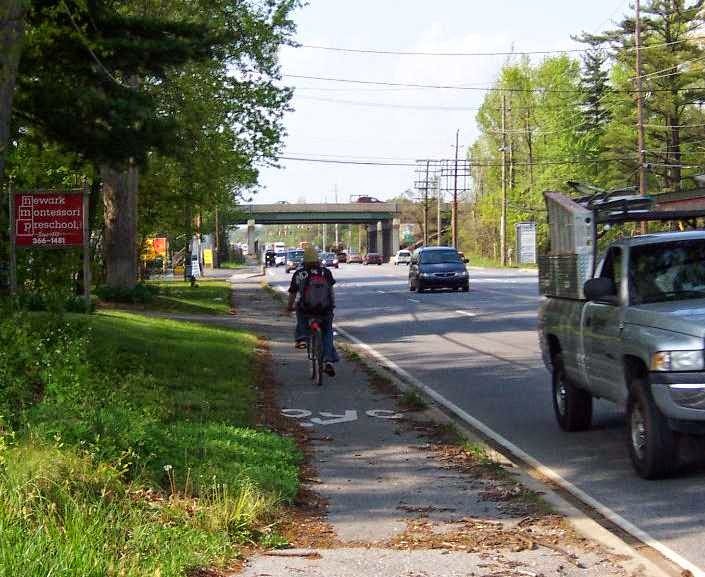 Where a pathway that is 8'+ wide travels alongside a road, it becomes known as a parallel Multi-User Path (MUP). It is misleading to describe these facilities as "bike paths" or "bicycle highways", because they are shared by multiple user types - including dog walkers and skaters. Where these exist, the addition of bike lanes and/or shared roadway signs is paramount. 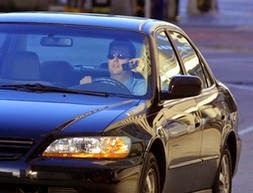 Left out, many drivers will view the road as theirs, and bicyclists avoiding the path as arrogant. Angrily, they will try to enforce their own imaginary version of a sidepath law. Above: Route 4 in Ogletown, in front of the new Delaware School for the Deaf. This is a classic example of a parallel MUP, which also happens to be designated as part of the East Coast Greenway. 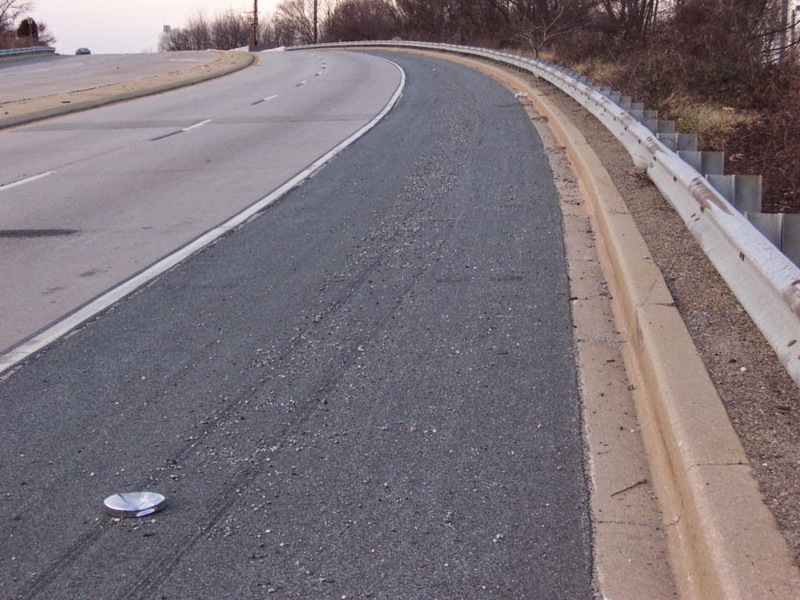 When a parallel MUP is present, it may be viewed by DelDOT as an adequate replacement for on-road facilities, such as bike lanes. In the above photo, a new CVS retail store was just built on Route 4 in S. Newark at the corner of Marrows Road - without bike lanes. 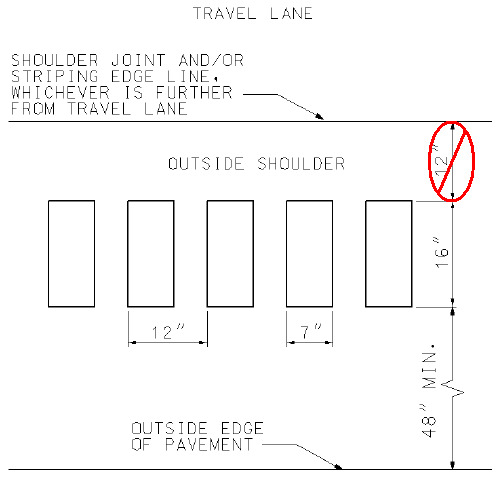 Trumped Bike Lanes: Like so many others, both of the new construction sites above had their New Castle County Code bike lane requirement waived. Though we have been unable to confirm this, a likely reason involves the parallel MUP filling the role as a bicycle facility. Similar thinking - that DOTs can make bicyclists separate but equal - is what spawned the Vehicular Cycling movement back in the 1970s. Rights Sacrificed: Those who choose to bike a parallel MUP instead of the road relinquish their rights as a legal vehicle under Title 21, and must stop for traffic at all intersections, side roads, and driveways. 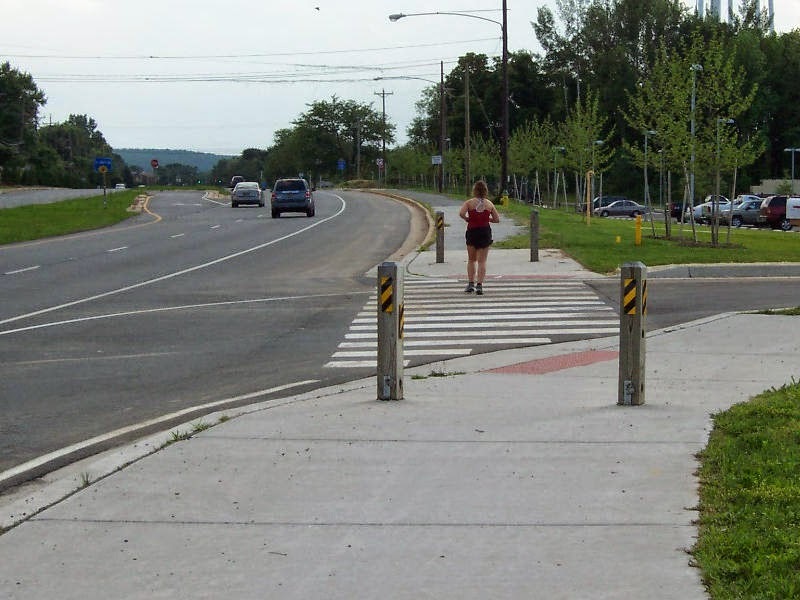 Too often, curb ramps are narrow and designed only for pedestrians. 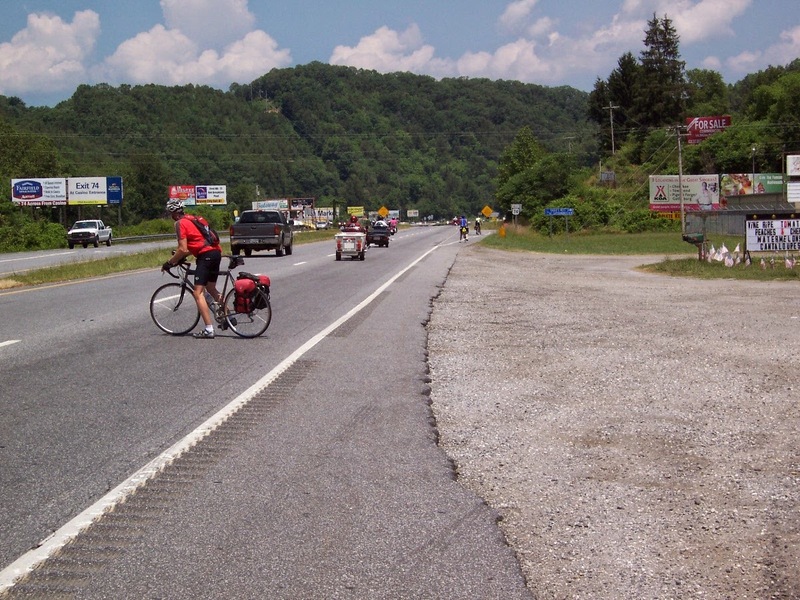 These facilities do serve a role for those who wouldn't bike otherwise, or to connect services, but intermediate and advanced bicyclists riding for distance won't hesitate to use the road instead. 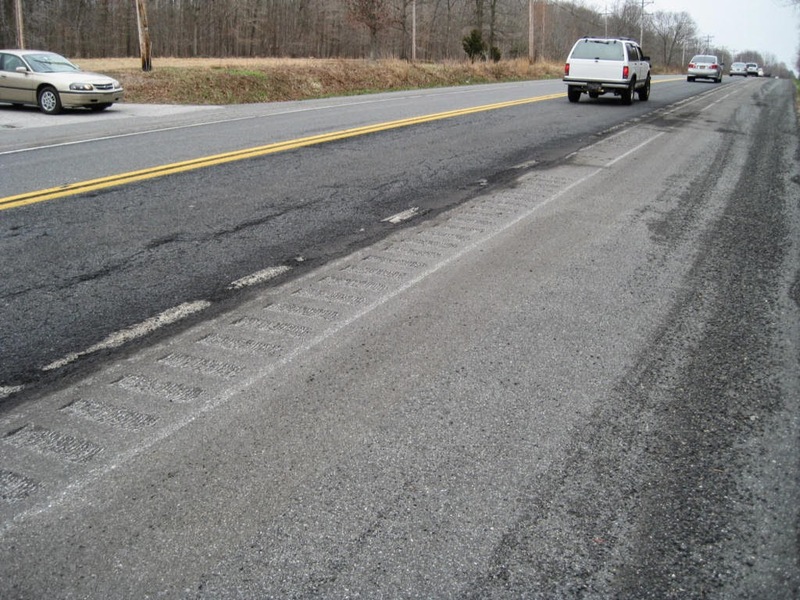 Maintenance & Rehab: Even the most popular MUPs are the last to receive any kind of maintenance or surface repair, unless under local jurisdiction. Parks and Recreation does a magnificant job with upkeep on the James F. Hall and Pomeroy Trails in the City of Newark. 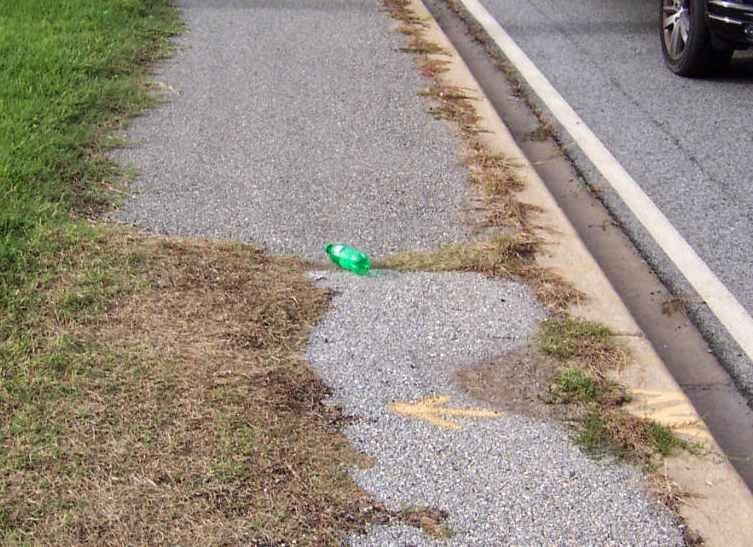 For the remainder of Delaware, which is mostly unincorporated, MUPs are built and then left to decay until they become hazardous and no longer bikeable. Above: The MUP along Route 72, from Route 4 South to Old Baltimore Pike. What used to be an 8' wide parallel MUP 20+ years ago is reduced to approx 6' or less from erosion and lack of edge control. Because there are no shoulders, the MUP is the only choice bicyclists have, unless they ride in the high speed lane of traffic. Above: Numerous sections of the Route 72 MUP are being reclaimed by mother nature, as seen here. It is also full of utility cuts and potholes. 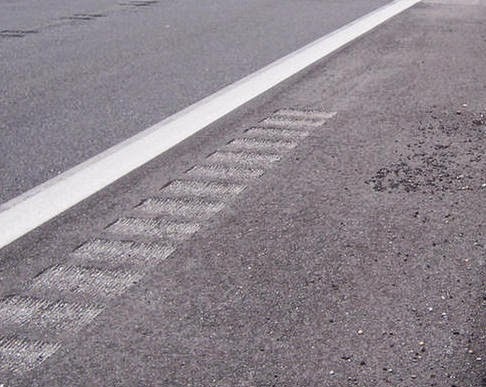 I have been advocating for DelDOT to repave this facility, starting when the road itself was last repaved about 10 years ago. 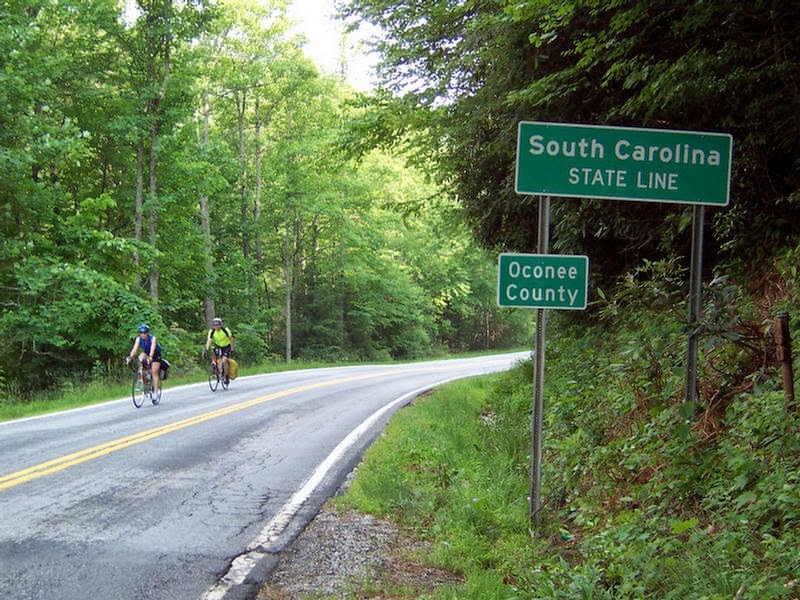 It has fallen on deaf ears, no matter what enthusiasm our state has for Trails & Pathways. 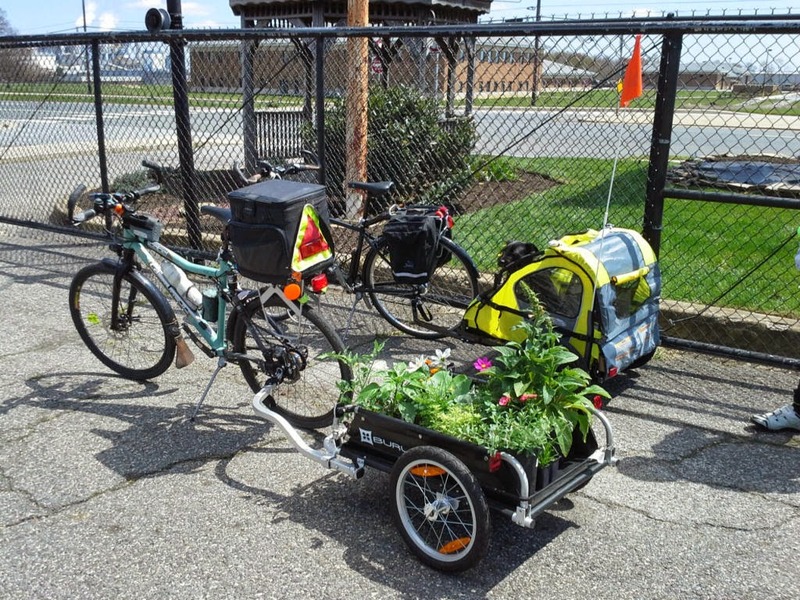 The League of American Bicyclists has designated the Delaware Department of Transportation a silver-level Bicycle Friendly Business. Do you know the rules of the road or how to wear your helmet? Do you know how to shift gears or trouble shoot that mysterious squeaking noise? Do you know the PSI of your tires? How about how to change the tire because of a flat? Do you execute an ABC Check before you ride? If any of these questions have you scratching your head then this is the class for you …… learn simple tricks to keeping yourself safe out on the road or trail. Discover the advantage of riding with a group. And a host of other tips that will help you enjoy riding a bicycle. 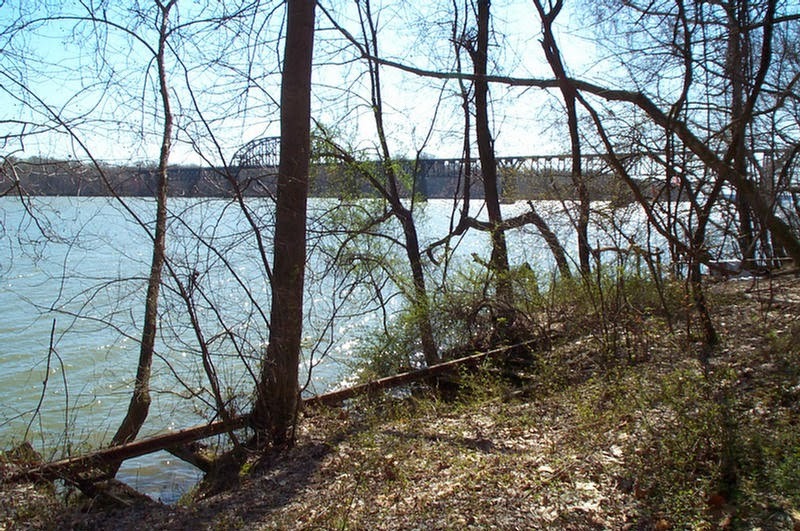 BikeAAA has joined an East Coast Greenway Alliance called the Safe Crossing Susquehanna Coalition supporting the creation of a new bike/ped Susquehanna River crossing in conjunction with a new Amtrak bridge that is being planned. There is a public meeting Monday April 28th @ 5:00 open house at the Havre de Grace Activity Center, 351 Lewis Lane, Havre de Grace MD. This is where public comments will be gathered and the voices for a bicycle and pedestrian bridge can be heard. 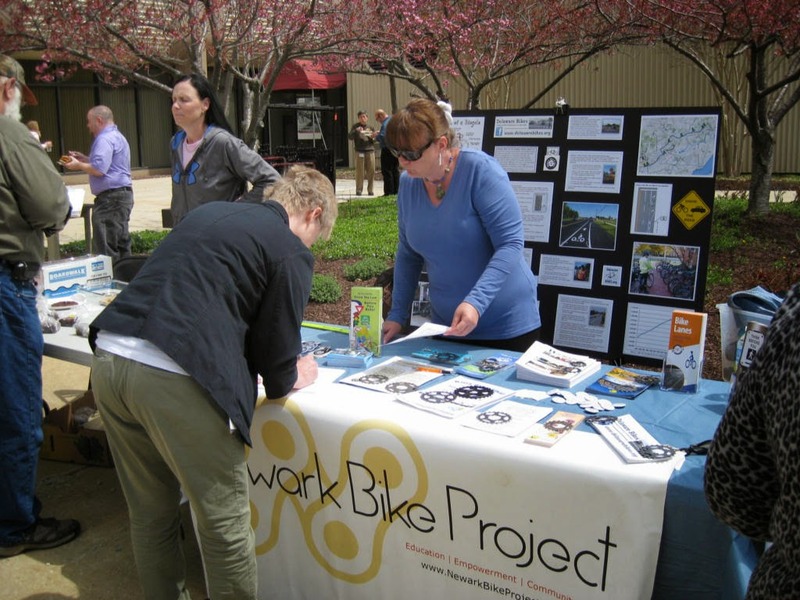 Other organizations signed onto the coalition include the League of American Bicyclists, Bike Maryland, Washington Area Bicycle Association, Bikemore, and the September Eleventh National Memorial Trail at this time. Sign the petition HERE. 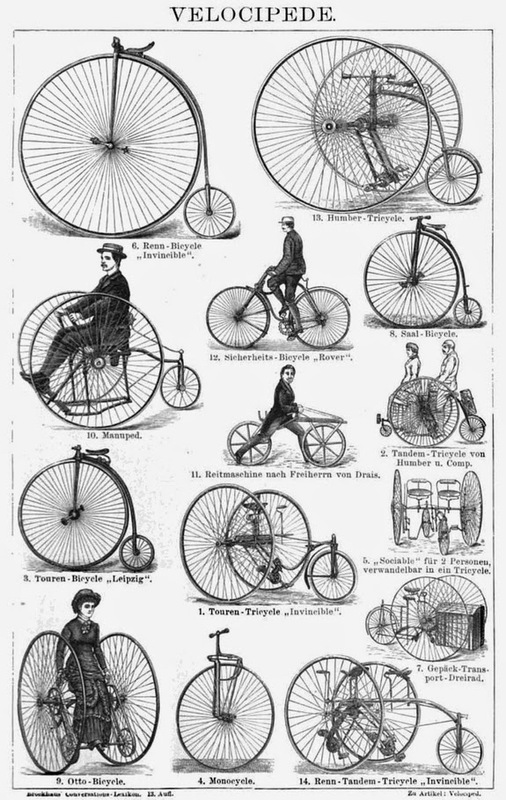 Poster's note: The White Clay Bicycle Club might consider signing on, as they often lead rides across the Susquehanna River further north. 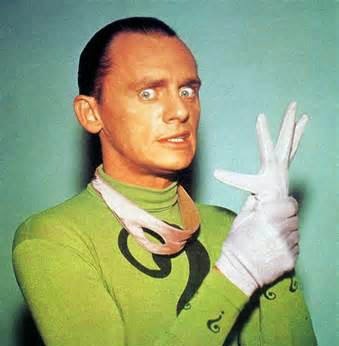 This would make an excellent southern connection. 6:15 p.m. Doors open & refreshments available meeting will begin promptly at 6:30 p.m. Join us for this first in a series of workshops to define the future character and direction for Greenville. Bring your knowledge, ideas, and vision for an evening of collaboration with fellow community members to create a plan for Greenvilles future. 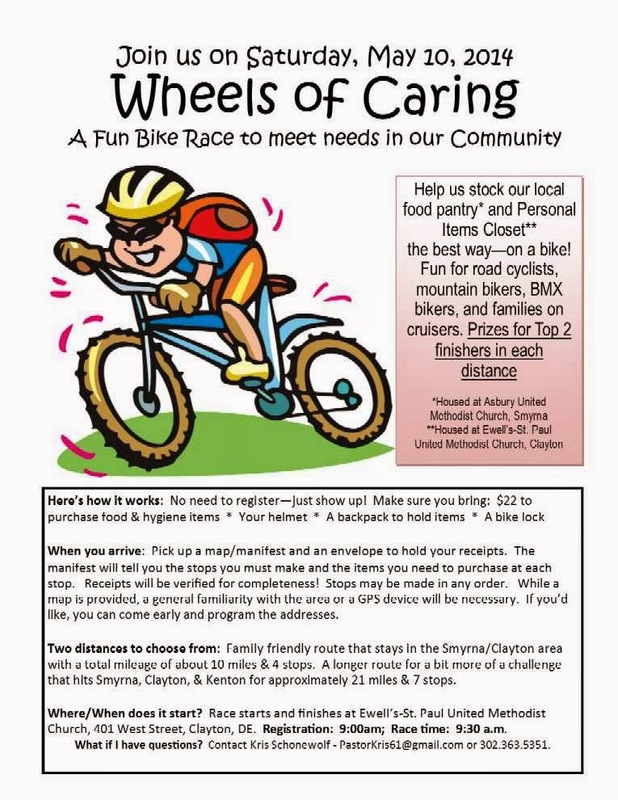 Poster's note: If you can attend this event, please ensure that bicycling is thoughtfully considered in the plans. As it stands now, Route 52 - Greenville's "Main Street" - is a 4 lane curb to curb arterial road and bicyclists must ride in the right lane. 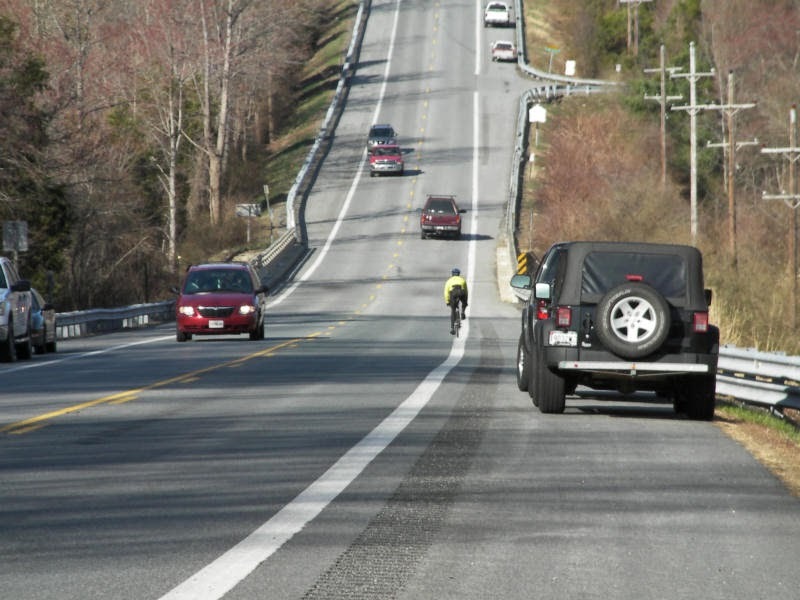 The only progress in recent years has been the installation of bicycle warning signs at the intersection of Route 141- chosen over the much preferred and safer "Bicycles May Use Full Lane" signs which should be placed through town. 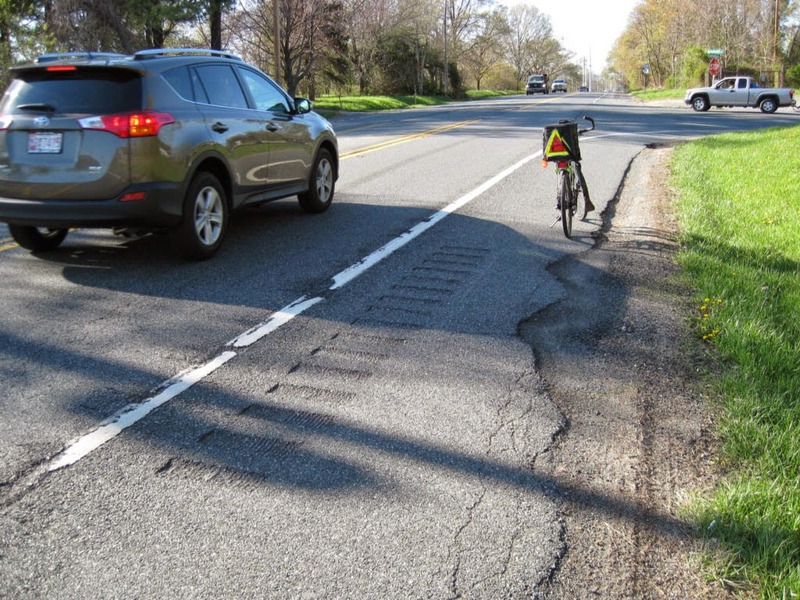 Placement of bicycle warning signs in the clover leaf warns drivers to expect bicyclists up on Route 52 in Greenville, but once there, it does nothing to validate our full use of the right lane. It is important for bicyclists to control the right lane in these situations, and not cling to the curb. Such behavior can invite motorists to dangerously overtake while side to side with another vehicle, thus violating the 3 Foot Passing Law. 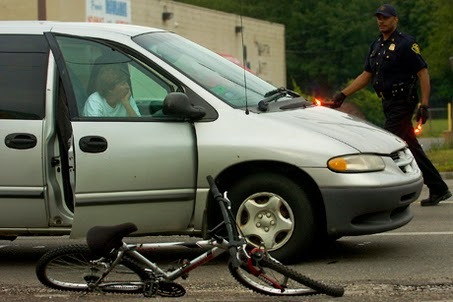 by Megan McCarty -- Bicycle crashes are scary, disorienting events. Nobody wants to think about being involved in a crash, but it's important to know what to do in case of emergency. Hopefully you will never have to experience this firsthand, but you may be able to help out your fellow bicyclists with your level-headed understanding of what to do. 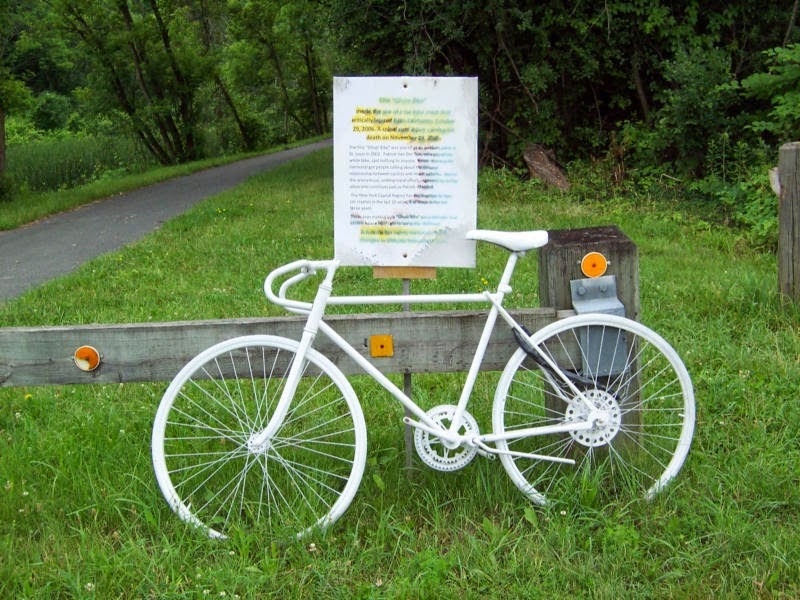 Poster's note: Most bicycle crashes are the result of the bicyclist losing control, hitting debris or other hazards, or striking fixed objects such as bollards or parked cars; a relative few are the result of motorists. You can learn the skills needed to avoid these dangerous situations by taking a safety course. 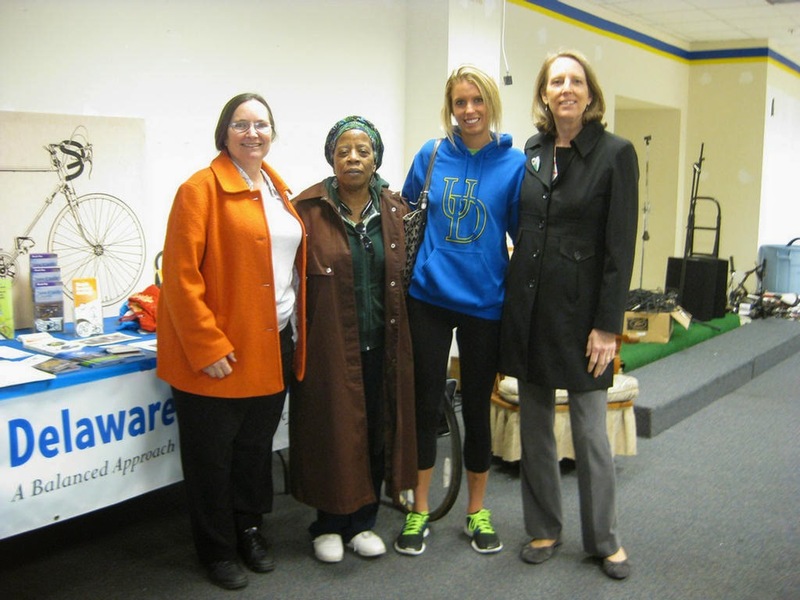 Heels & Wheels: Delaware Walking & Biking Summit (formerly Delaware Bike Summit) was held on March 21 at the University of Delaware Clayton Hall in Newark. The event was attended by more than 250 people and included presentations from the Mayor of Newark, Governor of Delaware, and Secretaries of DNREC and DelDOT. 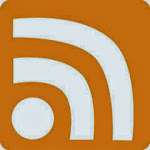 Please click HERE for links to all of the Power Point presentations, and to provide your feedback via a 5 minute survey. 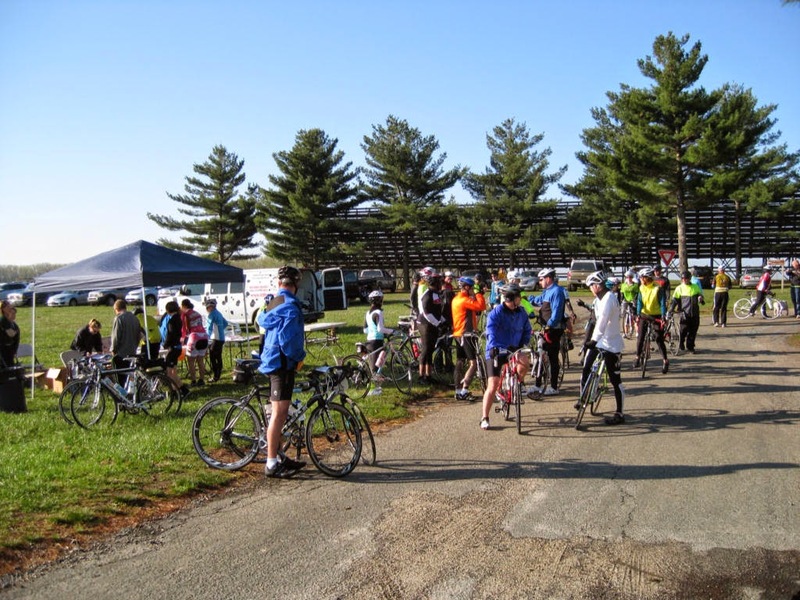 Heels & Wheels is hosted by Delaware Recreation and Parks Society and organized by Delaware State Parks, DelDOT, Dover/Kent MPO, and WILMAPCO. 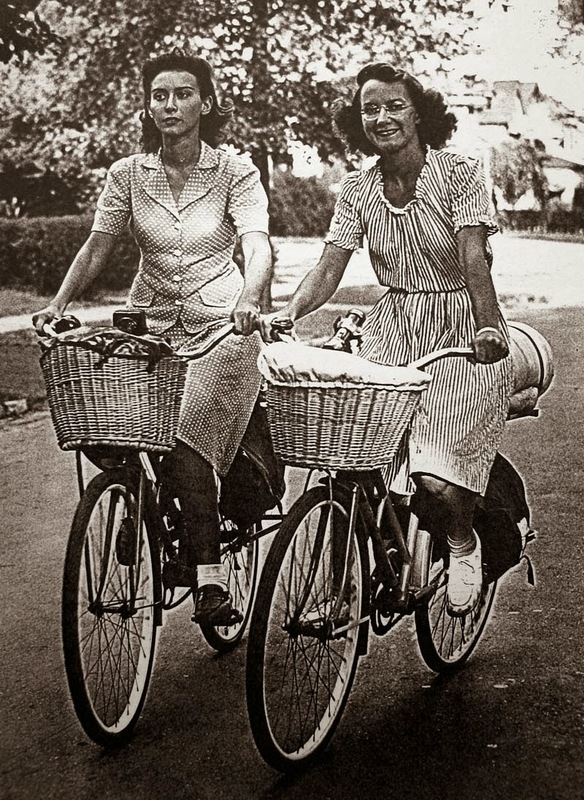 In 1944, Doris Roy and Thelma Popp who were 21 years old and just graduated from college, made a plan to ride bicycles from their home in Buffalo, New York, to Cairo, Illinois, where the Ohio River met the Mississippi. "World War II affected our college life as most of the male student body joined one of the services. Women assumed some of their roles by taking jobs in armament industries. During the summer, I worked from early morning to evening in a public school caring for infants whose mothers were working in aircraft factories or other related industries." "But now, before starting our careers, we decided that the coming summer after graduation would be the ideal time to have our adventure. We had a limited period of time to accomplish this. I had signed a contract to begin teaching first grade in Middleport, New York, on the Erie Canal on September 4, 1944. And so - with the leanest of equipment - we made our preparations and were ready to leave on June 22, 1944." 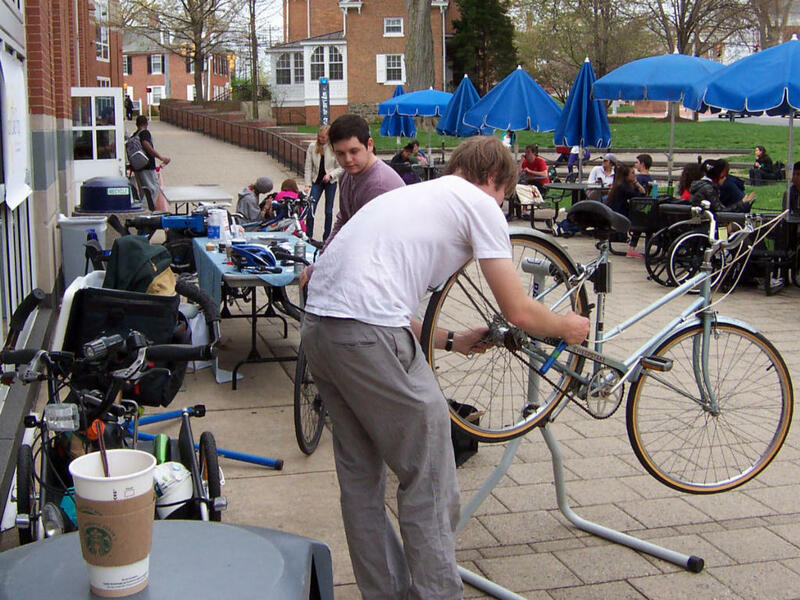 Several free bicycle safety events are being held on campus from now through the end of April for University of Delaware students, faculty and staff. Members of the campus community are invited to drop by for information and giveaways and to learn how to take care of their bikes. Wednesday, April 16, 11 a.m. and 2 p.m. on The Green at Delaware Avenue. Wednesday, April 23 from noon-2 p.m. on The Green at Delaware Avenue in front of Wolf Hall. 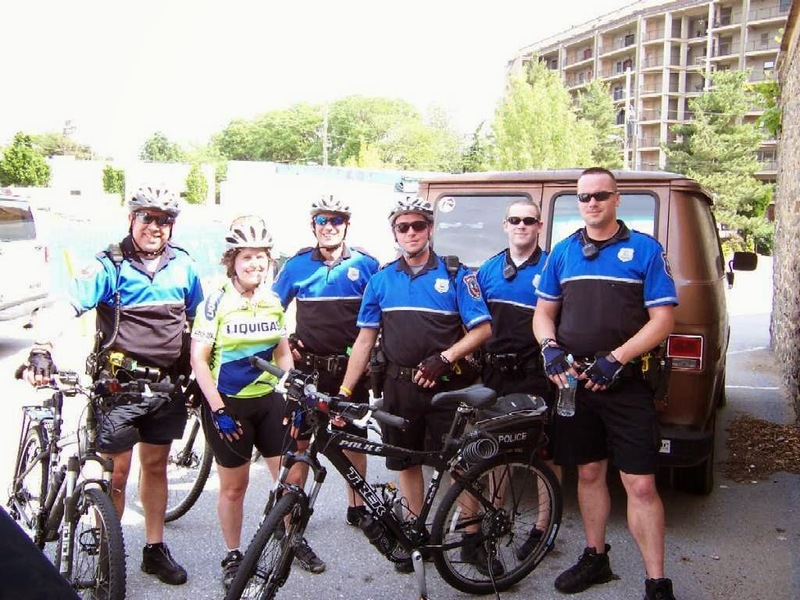 These checkpoints are conducted by the Newark Bicycle Committee in partnership with the Delaware Department of Transportation (DelDOT), the Newark Bike Project, and UD Police. 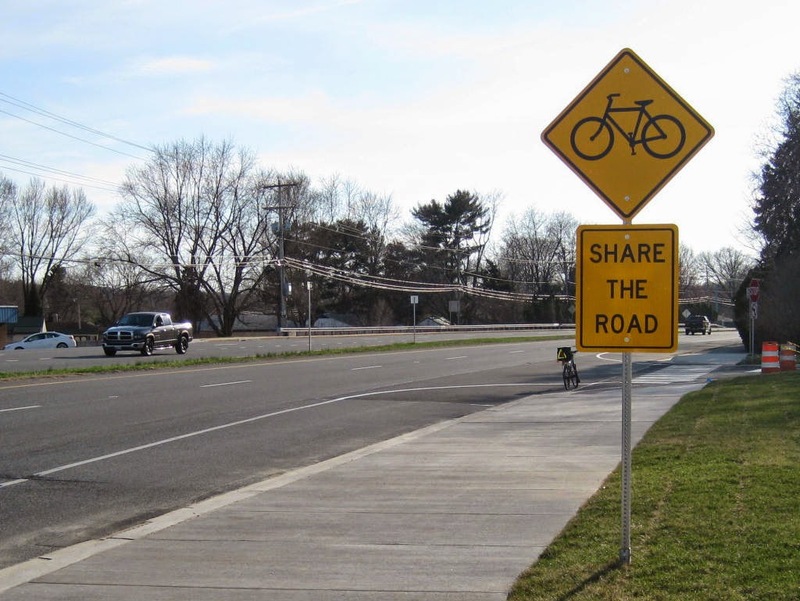 The above are just some of the articles floating around the internet, when in fact, "Share the Road" is still appearing in Delaware. As we have learned all too often, a DOT's commitment to change - even in writing - doesn't guarantee it's going to happen. And that's why the enforcement of current policies and guidelines should be a major component of any bicycle advocacy organization. 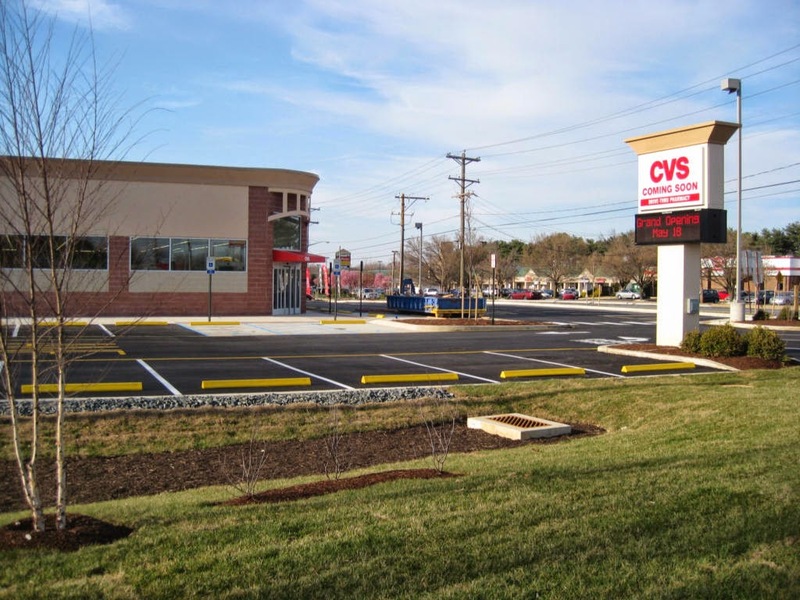 A brand new CVS on the corner of Route 4 and Marrows Road will have its Grand Opening on May 18th, 2014. A brand new bicycle warning sign, with "Share the Road", appears out front of the CVS. 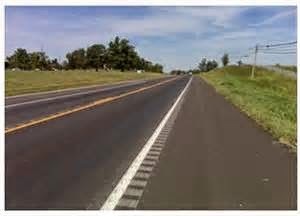 Where necessary, the developer shall provide acceleration/deceleration lanes along major roads, as determined by DelDOT, as well as right- and left-turn lanes and bypass lanes, depending on local conditions and the amount of traffic generated by the proposed development. Where such lanes are required, they shall be at the expense of the developer. 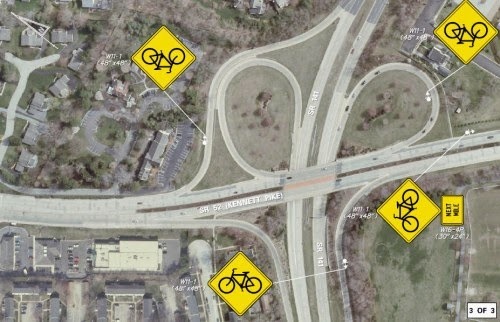 Acceleration, deceleration, bypass, and right-turn lanes shall include space for bicycle lanes, as required by DelDOT. 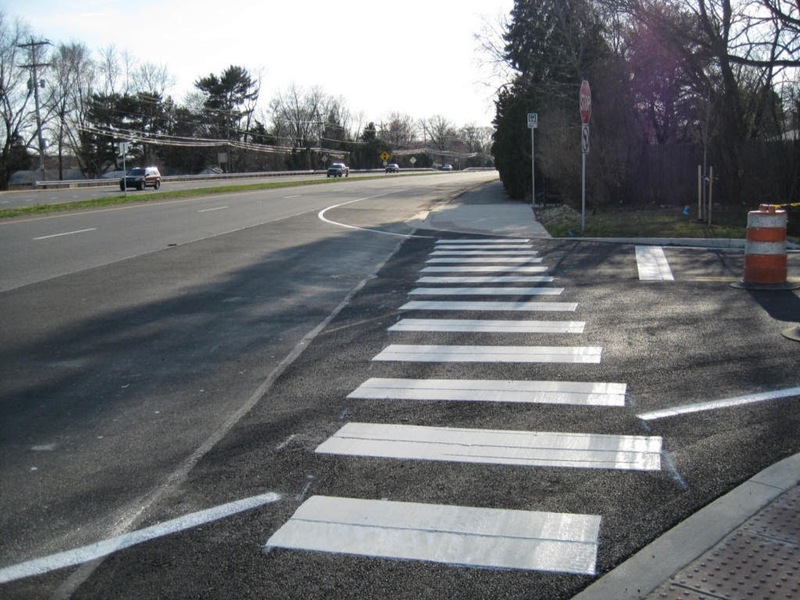 There are no issues whatsoever when it comes to adding ADA compliant crosswalks and curb ramps with all new developments. In fact, the sidepath facility on Rt.4 (above) is part of the East Coast Greenway, an off-road trail intended for the use of bicycles and pedestrians. Where sidepaths like this exist, however, it provides the perfect excuse for DOTs to exclude on-road bicycle facilities. 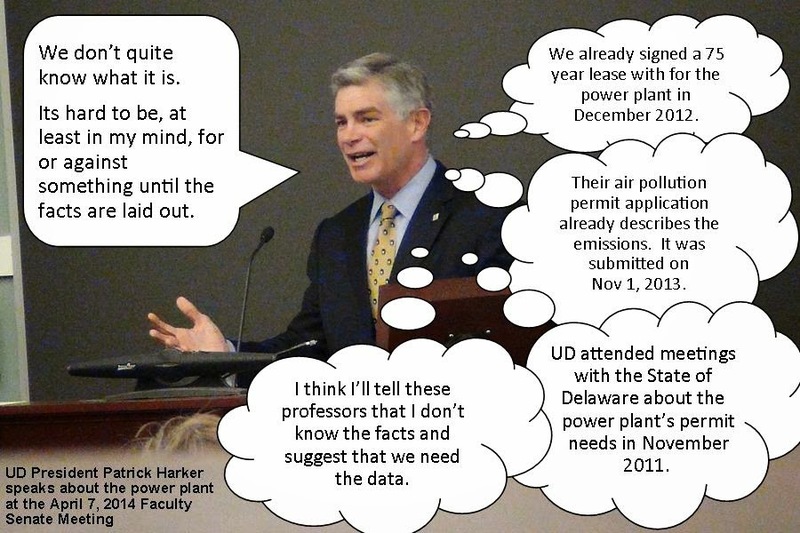 And that's likely what happened here, just as it did at the Delaware School for the Deaf further east. The waiving of NCC coded bike lanes is now common. Pork Chop guidelines are falling through the cracks. We are losing opportunities for bicycle facility improvements with Pave & Rehab projects. And it doesn't stop with on-road infrastructure; the application of laws that help protect bicyclists and pedestrians also require constant vigilance. 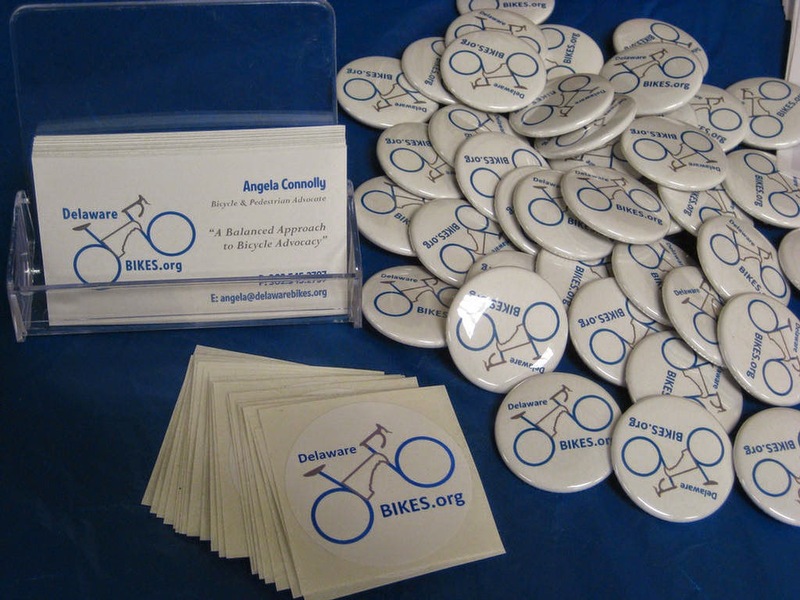 Had it not been for select members of the Delaware Bicycle Council, our law enforcement and court system would remain clueless about laws like Vulnerable Users and 3 Foot Passing. 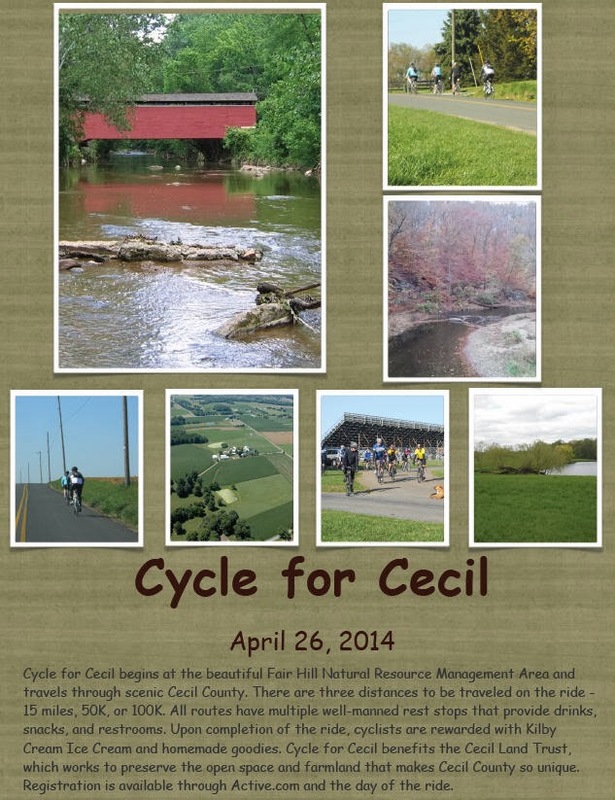 Bike Delaware has been virtually absent in these areas, as they choose to focus almost exclusively on Trails & Pathways. 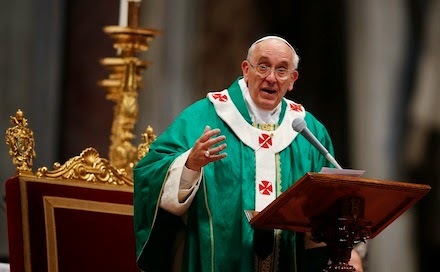 Catholic Herald -- Pope Francis revealed that it pains him when he sees a nun or priest driving an expensive car, and he praised the beauty of the bicycle, noting his 54-year-old personal secretary, Msgr Alfred Xuereb, gets around on a bike. By Jonathan Harker | Bike BIZ (UK) -- With the evidence stacking up, will a new official public health report prompt the government to put serious cash behind cycling? Air pollution has been making the headlines recently, but this week's report from the government's own Public Health England (PHE) has linked long-term exposure to pollution to a shocking 25,000 deaths, in 2010. With the health benefits of cycling in reducing obesity and the burden on the NHS already well covered, this is yet another reason for improving cycling conditions. So expect a few billion to be dedicated to cycle lanes, cycle traffic lights, etc, in the near future. Probably. 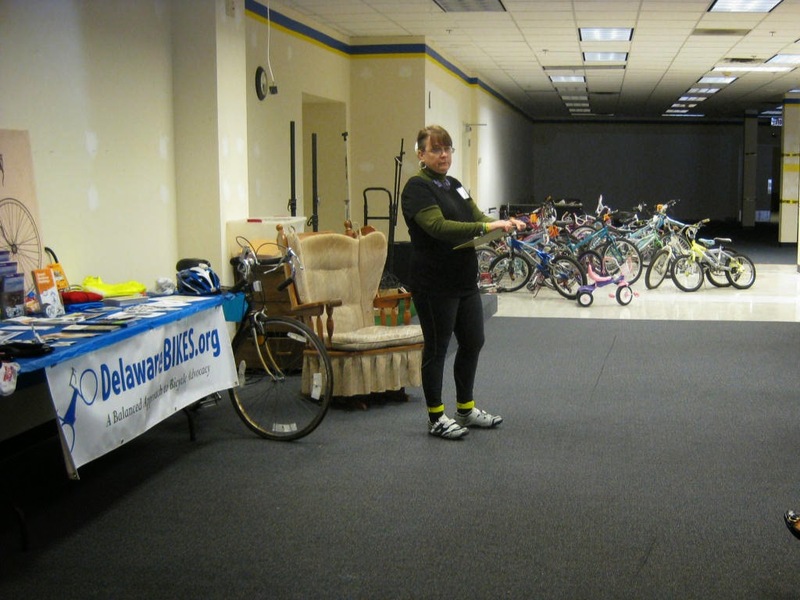 By Angela Connolly -- On Thursday April 10, I conducted a "Befriend a Bicycle - Tips for Commuting and Riding" Workshop at the Newark Bike Project. 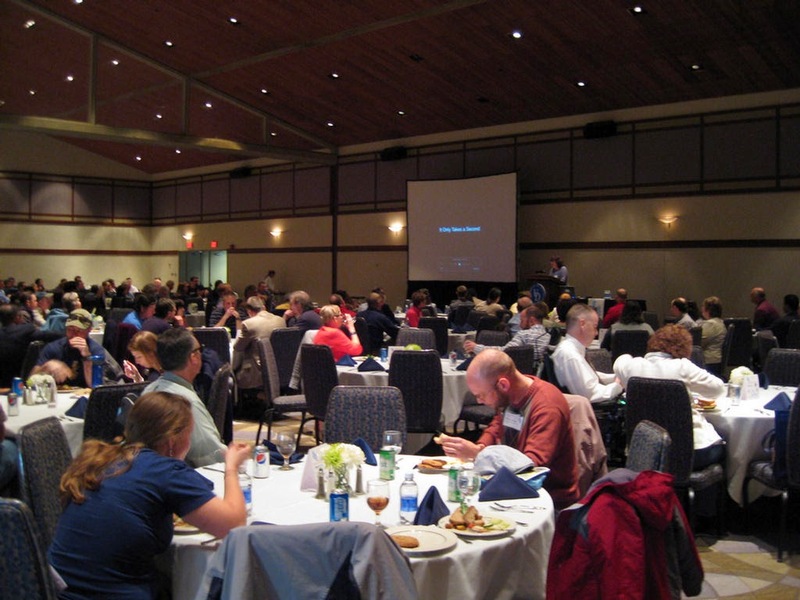 This event was part of the "Lite Lunch" Wellness Activities, a series of Workshops held by the University of Delaware's Department of Employee Wellness. Held during the lunch hour, the workshops raise awareness for healthy activities by allowing participants to experience ways to re-charge their batteries during their workweek. 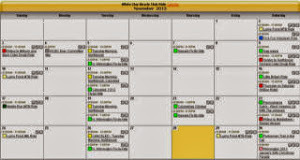 With each activity employees attend, they earn incentives to be eligible for a prize drawing. 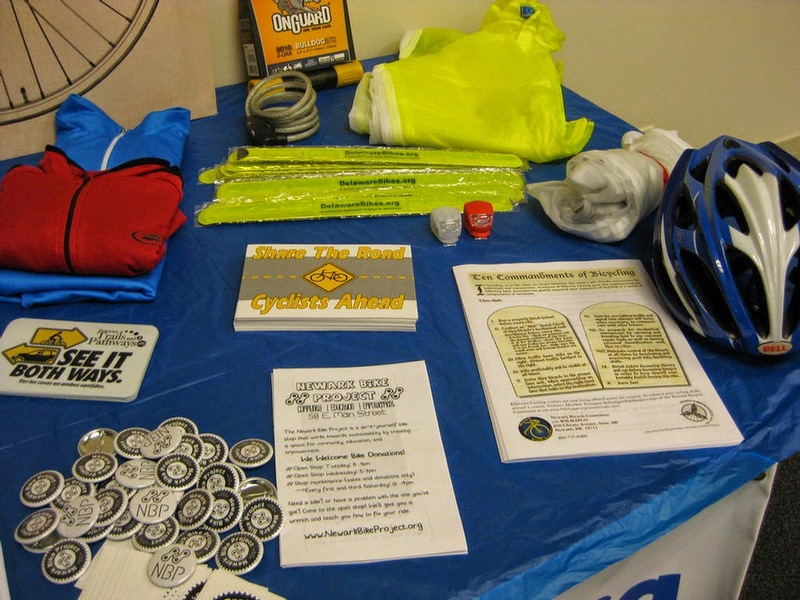 On the table was information from the Newark Bike Project, Delaware Bikes, RideShare Delaware, White Clay Bicycle Club, Delaware Trail Spinners, the Delaware Bicycle Council, and the Newark Bicycle Committee. 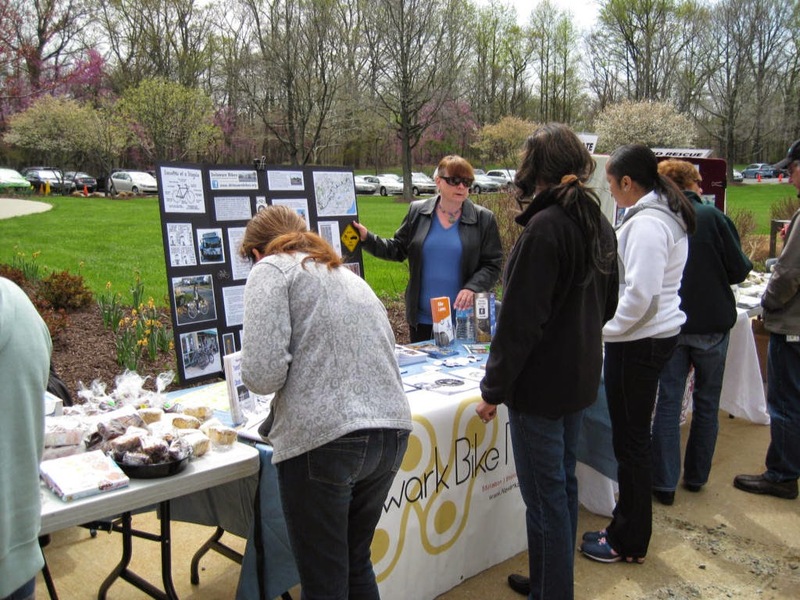 This was a great opportunity to talk about what we do at the Newark Bike Project, and to raise awareness of the many ways we serve the Community through our Shop and our bike related activities. 16 ladies and gentlemen were in attendance, and we covered topics such as, choosing the right bike for your commute, choosing appropriate bags and clothing, selecting a route, and of course, safety and practical tips to stay safe and visible on the bike. Participants took away goodies such as buttons, safety pamphlets, and maps. 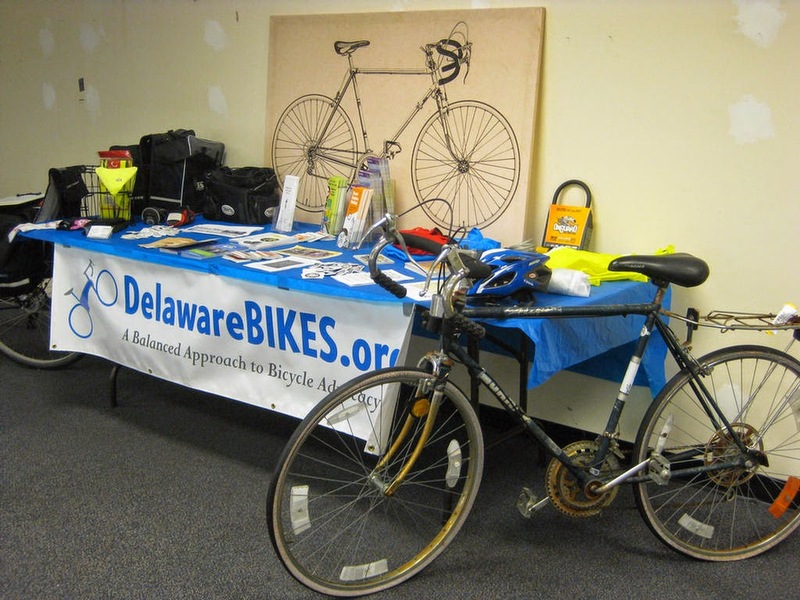 An array of goodies from Delaware Bikes was on hand. Participants were particularly excited about our high-visibility safety ankle snap bands. 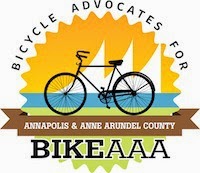 Delaware Bikes is an Advisory Committee and Blog that promotes a balanced approach to bicycle advocacy. 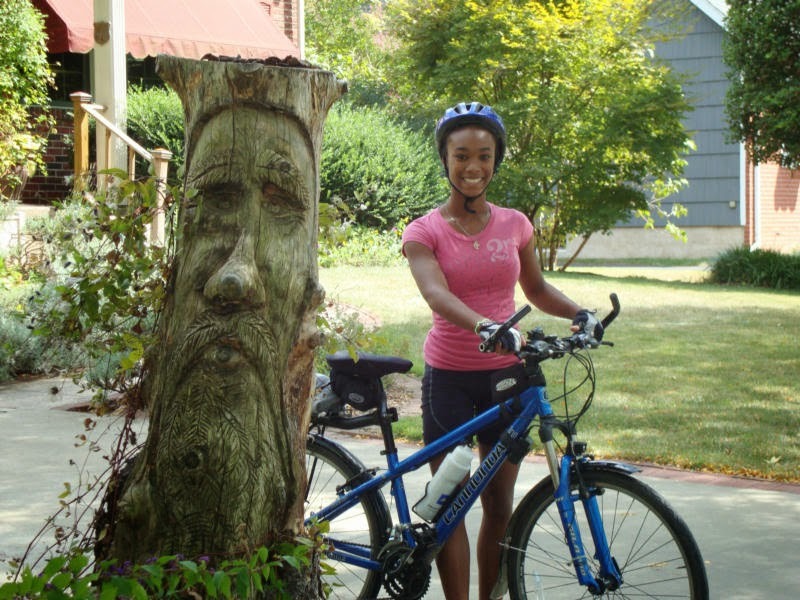 Angela, talking about what she loves - bicycling! The event was enjoyed by all, including these lovely ladies. I would like to thank Linda Smith (far right) for the opportunity to present this Workshop today. We look forward to finding new and creative ways to continue to work with the University to keep their Hens healthy!